Power foods or superfoods are foods that have extra benefits beyond their nutritional content. Power foods can also be foods that are rich sources of many significant micronutrients. Examples of power foods are figs, hemp protein powder, Greek yogurt, peas, edamame, and avocados. A healthy diet during pregnancy should focus on optimizing micronutrient density within healthy calorie intake. These 15 pregnancy power foods in the daily diet will help women meet these goals. Often called pepitas, pumpkin seeds are typically hulled and roasted. These little green seeds are packed with iron and magnesium and many other healthful trace minerals. Like all nuts and seeds, they also are a good source of protein and omega-3 fatty acids, which are often deficient in the diet. Omega 3s are necessary for the brain and eye development of the fetus. Unsalted pumpkin seeds are excellent as a snack on their own. They also make a great crunchy topping for a roasted squash soup. Blackstrap molasses is a good power food for pregnant women needing to get a little extra iron and calcium in their diet. It also is high in magnesium and other trace minerals. Molasses has a rich, sweet taste, and can be used as an alternative to honey or sugar in herbal tea or baked goods. It has a lower glycemic index than honey or sugar, making it a good choice to keep blood sugar stable and as part of a healthy diet to manage gestational diabetes. Hummus is a tasty spread made from garbanzo beans, tahini, garlic, and olive oil. Try it as a dip for raw veggie sticks or use it instead of mayonnaise to add a new healthy flavor to sandwiches. Hummus is high in protein and low in fat. Hummus has a very low glycemic load; and adding it to higher glycemic load foods, like bread or crackers, will add lower the impact of the total meal on your blood sugar. This makes it a useful food for managing and minimizing the effects of gestational diabetes. We have many egg options in the grocery store now; how do pregnant women know which ones to choose? It is a myth that brown eggs are more nutritious, however, studies show that pasture-fed chickens produce eggs with more omega-3 fatty acids and vitamin E because chicken eggs are affected by what the chickens are fed. Eggs marketed as "Omega-3 eggs" or "DHA eggs" do indeed have more omega-3s because these chickens have been fed flaxseed or krill oil or other sources of omega-3s. The same thing happens when pregnant women add these foods to their diet! Eggs are often vilified for the cholesterol they contain, however, developing fetuses need cholesterol (and so do mothers). What may be more important than the cholesterol content of eggs is how we cook them. Frying or scrambling eggs glycosylates the proteins and oxidizes the cholesterol, creating the metabolites that contribute to heart disease. The best bet is to poach or hard boil eggs; these cooking methods protect the maximal nutritional value of these power foods. For more information about advanced glycation end products (AGE), and its content of certain foods, please refer to this table from The Journal of American Dietetic Association (http://www.ncbi.nlm.nih.gov/pmc/articles/PMC3704564/table/T1/). Packed with protein and fiber, while low in fat, lentils are another pregnancy power food. Lentils are filled with iron, folate, and all of the healthy trace minerals and B vitamins. There are several types of lentils. The red ones become very soft when cooked, making them perfect for creamy soups or Indian dhal. The green ones, sometimes called French lentils, stay firm when cooked. These make excellent salads when tossed with chopped veggies and a vinaigrette dressing. Healthy fats are super foods for developing brains. Avocado is rich in monounsaturated fats, and also provides some plant-based saturated fats; this makes it a pregnancy power food. One avocado provides nearly a third of the required daily intake of folate, and because it is in the natural form, it is highly bioavailable (its ability to be absorbed and used by the body). Avocados are also high in carnitine and potassium. Try using avocado instead of butter on toast or sandwiches. Add it to a smoothie for a rich creamy flavor without the dairy. Here's a tip: when using only part of an avocado, leave the remaining part attached to the pit. This will prevent it from turning brown so quickly. One easy way to ensure that pregnant women are getting enough protein is to use a protein powder. I recommend hemp protein for several reasons. Hemp protein is an excellent source of omega 3 fats, provides complete amino acids, and is high in zinc, iron, and magnesium. I also recommend it because few people are allergic to hemp (as compared to soy or whey protein; both of which commonly cause allergic reactions or symptoms of intolerance). Hemp protein can be used as a quick and easy meal replacement when mixed with almond milk or orange juice, or combined with berries and other ingredients to make a smoothie. Almond butter is a delicious high protein power food. Almond butter, like all nuts, is rich is vitamin E, all the B vitamins, iron, calcium, and magnesium. While nuts butters are high in fat, the fats are almost entirely in the form of healthy monounsaturated fats. Mix up the monotony of peanut butter by using almond butter in its place. Try it with celery sticks for a tasty nutritious snack that older children will enjoy too. Oatmeal is a pregnancy power food for its high fiber, complex carbohydrates. Good amounts of zinc and magnesium are also found in oatmeal. While slow cooking steel cut oats will provide the highest amount of fiber, instant oatmeal is an option too. Instant oatmeal can provide a fast, simple breakfast or snack as long it isn't too high in sugar. Artificially sweetened sugar-free oatmeal isn't a better option. If you can't find a low-sugar instant oatmeal, make you own with raw quick rolled oats. Put oats in a bowl and add water to just barely saturate and cover the oats. Microwave for 1-2 minutes, add berries and nuts, and you've got a perfect pregnancy power breakfast! Edamame is the Japanese term for fresh, boiled soybeans. These delicious green pods are typically available lightly salted and frozen. Simply thaw them out and pop the beans out of the pods to enjoy. Edamame is a pregnancy power food because it is an excellent source of protein and fiber. Edamame, like all soy foods, is also great source of B vitamins, including folate. A cup of edamame provides a full day's worth of folate, and these tasty little beans are also packed with zinc, copper, magnesium, and iron. Whether you enjoy frozen peas, snow peas, or baby pea-in-the-pod English shelling peas; peas are a great choice for pregnant women. Peas are an excellent source of plant-based protein and are a good source of calcium, magnesium, and folate. Plant-based proteins are important; they can substitute for pro-inflammatory animal proteins and are easily used by the body. Peas also have lots of vitamin C. Peas are an over-looked snack: simply microwave a small bowl of frozen peas and drizzle with olive oil, salt, and pepper. Snap peas and snow peas travel well, making them great snacks to carry in a baggie in your purse. Spinach is a pregnancy power food and provides maximum micronutrient density per calorie. A single one cup serving of spinach provides more than the daily requirement of vitamin A and K, and nearly a full day's worth of folate. Spinach is also rich in iron, magnesium and calcium. Enjoy spinach raw in a salad or steamed. Try steamed spinach with roasted garlic and a bit of coconut oil – yum! Greek yogurt is higher in protein than regular yogurt, making it a pregnancy power food. Pregnant women need about 50% more protein in their diet than nonpregnant women. Yogurt is also a source of probiotics, or healthy bacteria. Probiotics are pregnancy super foods because these healthy bacteria help overcome unhealthy bacteria, reducing the risk of early labor, prenatal infection, and eczema and allergy in the babies up to 5 years later. Figs are a good source of fiber, calcium, and magnesium. They also contain lots of manganese, a trace mineral that is important for our natural antioxidant systems. Enjoy figs fresh or dried; on their own or added to a salad for a touch of sweetness. The combination of fiber and magnesium also makes figs a good choice to relieve constipation, a common problem for pregnant women. This super food is one of the few dietary sources of vitamin D. Sardines are also rich in B-12, calcium and selenium. Try eating canned sardines spread on crackers. Fresh anchovies, if you are lucky enough to be able to find them in your local fish market, are delicious simmered in a tomato-herb sauce. Sardines are high in protein and omega-3 fats. Two sardines provides over 300mg of these anti-inflammatory essential fatty acids. Because sardines are small and low on the food chain, they have less mercury and other toxins compared to larger fish. This makes them a good choice for pregnant women. REFERENCE: VandeVusse, L. et al. "Perinatal outcomes of prenatal probiotic and prebiotic administration: an integrative review." J Perinat Neonatal Nurs. 2013 Oct-Dec;27(4):288-301; quiz E1-2. doi: 10.1097/JPN.0b013e3182a1e15d. Review. PubMed PMID: 24164813. What power foods or superfoods have you found helpful during your pregnancy? 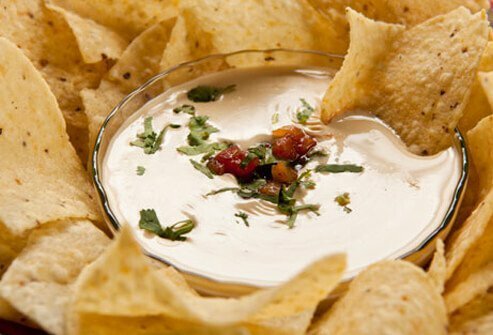 What varieties of humus are your favorite, and what do you generally serve with hummus? Please share your recipes and tips for incorporating avocado or avocado oil into your diet. The treatment for heartburn and acid reflux is to treat the underlying cause, for example, GERD, with over-the-counter (OTC) medicine, prescription medicine, natural remedies, and lifestyle changes like a eating a healthy, less fatty, spicy diet, not eating big meals, not eating before bed, and getting regular exercise to improve your posture. Sometimes a heart attack can mimic heartburn and acid reflux because they feel very similar. If you have symptoms of chest pain, tightness in the chest, heartburn, acid reflux, jaw, tooth, or head pain; shortness of breath, nausea, vomiting, sweating, discomfort in the upper middle of the abdomen, arm or upper back pain, or the general feeling of being ill, go to the nearest Emergency Department immediately because these are the symptoms of a heart attack. American College of Gastroenterology. "Acid Reflux." 2017.
familydoctor.org. "Heartburn." Updated: Mar 2014. National Library of Medicine; PubMed Health. "Heartburn and GERD: Treatment options for GERD." Updated: Nov 18, 2015. Iron is a mineral our bodies need. Iron deficiency is a condition resulting from not enough iron in the body. It is the most common nutritional deficiency and the leading cause in the US. Iron deficiency is caused due to increased iron deficiency from diseases, nutritional deficiency, or blood loss and the body's inability to intake or absorb iron. Children, teen girls, pregnant women, and babies are at most risk for developing iron deficiency. Symptoms of iron deficiency include feeling weak and tired, decreased work or school performance, slow social development, difficulty maintaining body temperature, decreased immune function, and an inflamed tongue. Blood tests can confirm an iron deficiency in an individual. Treatment depends on the cause of the deficiency. Proper diet that includes recommended daily allowances of iron may prevent some cases of iron deficiency.